Beatrix Potter spent her childhood drawing plants and animals in England and Scotland with her brother Bertram. This enthusiasm for local flora and fauna led to an interest in botany, and more specifically mycology as she grew older. 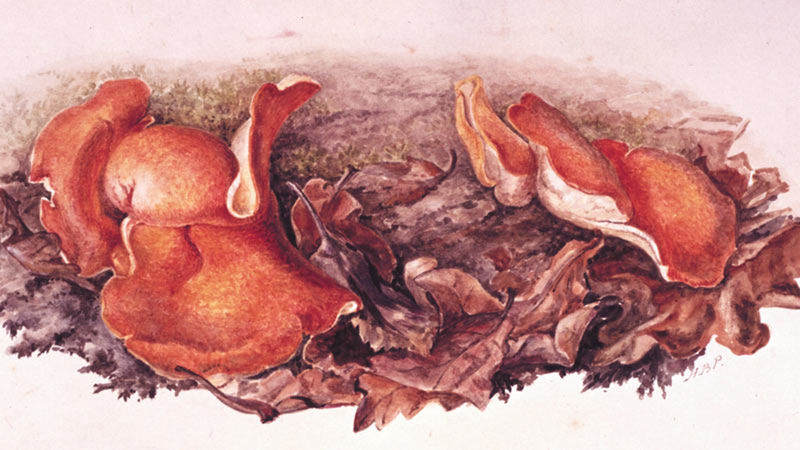 In her twenties, Beatrix was invited to study fungi at the Royal Botanical Gardens in Kew, where she produced hundreds of detailed botanical drawings and watercolors. By 1896, Beatrix had developed her own theory of how fungi spores reproduced and wrote a paper titled “On the Germination of the Spores of Agaricineae.” It was only after this paper was rejected by the Linnean Society, that she decided to begin drawing her, now famous, Peter Rabbit and friends.